South Bend, IN- Ancon Construction, premier Design Build Construction Firm, is proud to announce the opening of their latest project. 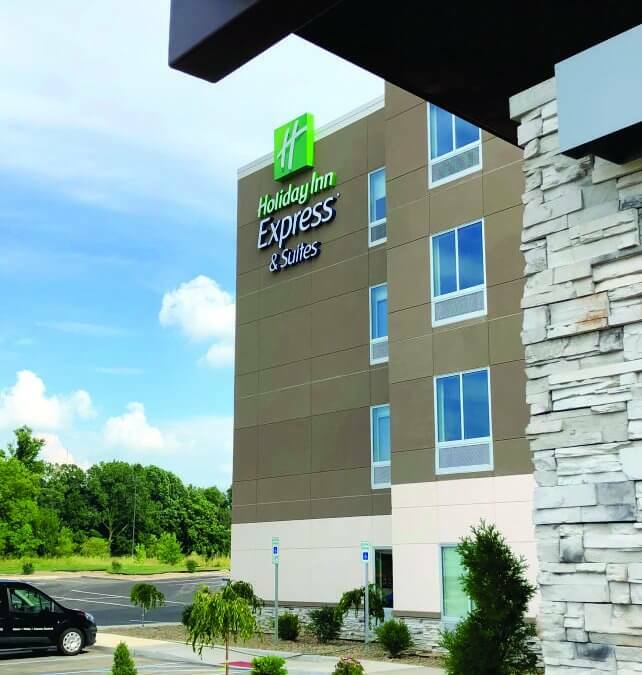 Holiday Inn Express will be the latest hotel to serve our region. The property opened on Monday and had 25 guest bookings the first day! For a new property that is very good. The property is located in the old parking lot area where the previous Kmart and Sears used to be near the intersection of Ireland Road and Michigan Street (US 31) on the southside of South Bend. This is the latest brand model for Holiday Inn Express and features bright colors and open modern spaces. The 92 room hotel also features a work out facilities, indoor pool, business accommodations and open lobby/foyer are which is inviting for guests to sit and relax. Ancon Construction was chosen by JSK Hospitality to build the project. Ryan Kring, Vice President of Business Development, commented, “We are very excited about opening this project. As a southside resident myself, this area was lacking a quality hotel. 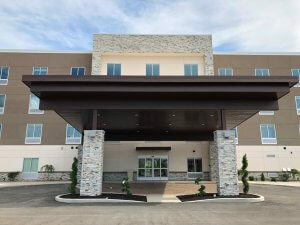 By bringing in a Holiday Inn Express people are already familiar with the brand which provides a comfort level for both families, visitors and traveling business people”. Kring went on to say that future development will continue within the areas immediately around the hotel siting potential future retail development within the plaza. “There is a lot of activity happening throughout the Ireland Road corridor right now which is consistent with what people have been requesting”, Kring noted. 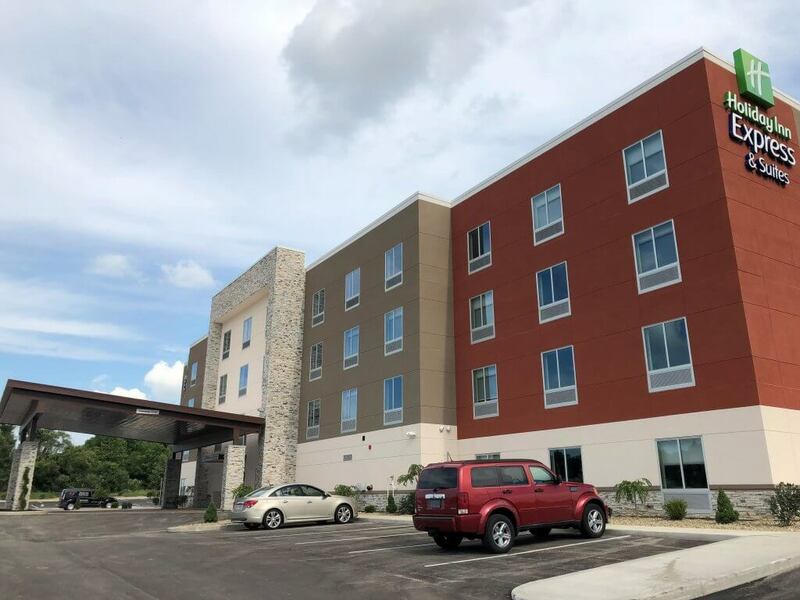 In addition to the new Holiday Inn Express, United Federal Credit Union is very close to opening their new branch, Panda Express has built a new location along Ireland Road and Drive and Shine is building a new car wash on Michigan Street. Regional favorite Rise N Rolls is also putting in a new location on the southside believed to be next to the existing Chipolte location where the former Annies Bakery used to be. Kring’s next hope is that a brewery shows interest on the southside. “It is something that is missing on this side of town, to have a small local craft brewery would be a nice addition”, Kring added. Did you hear that Ancon Construction has recently broken ground for the new SpringHill Suites which will be located on SR 933 just north of Cleveland Road? 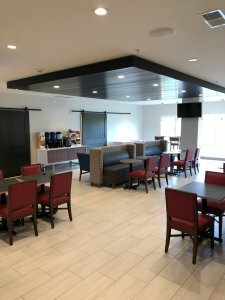 Kring said, “We are excited about this project as we served as both the design team and the construction team, so it is a true design build project”. Springhill Suites is scheduled to open in 2019. Ancon Construction has been designing and building northern Indiana and southern Michigan for over 40 years. 100% Employee Owned. Do you have a project you are ready to start? Contact us HERE and let’s get your project started…together.